This was my favorite sauce for everything a few years ago. I say it in the past tense, because I think it might be R.I.P. time for this elixir of goodness. The Trader Joe’s website speaks of its limited availability. It was only $2.99 a bottle back in 2015!! Oh well, like my favorite Star Trek: The Next Generation episode, “All Good things…” The next time I go to the store I’ll have to see if there are any more hidden on the shelf. The sauce in my opinion was just a perfect blend of about 80% normal sweet BBQ and about 20% slight spicy kick afterwards from the sriracha. This made it amazing on hamburgers, steak and even jasmine rice! 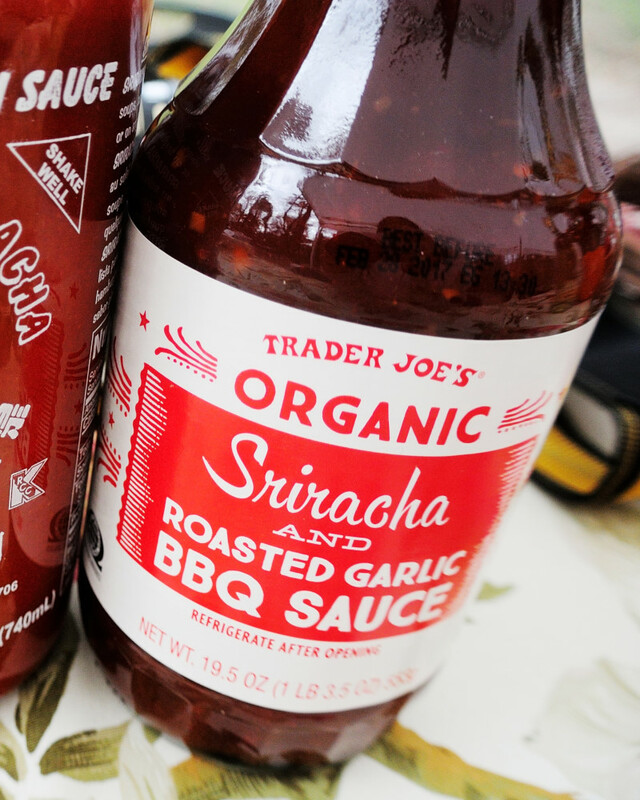 Unlike other sauces like Tabasco, A1, and even traditional Sriracha itself, it really complemented grilled meat and didn’t overpower or ruin it. 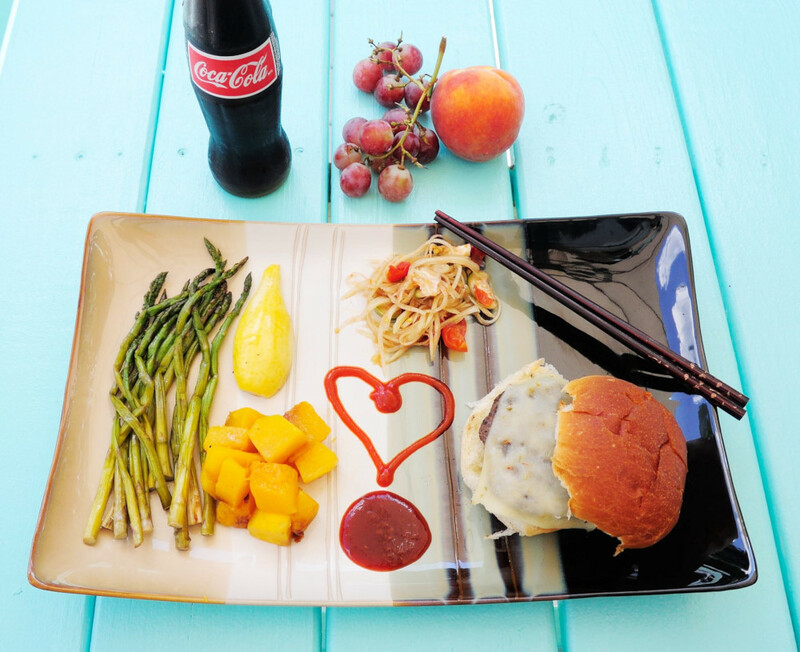 My attempt at a fancy lunch: Hamburger and Pepper Jack cheese, a bit of leftover papaya salad, grilled asparagus, squash and pumpkin, along with Coca-Cola and some grapes and a peach! 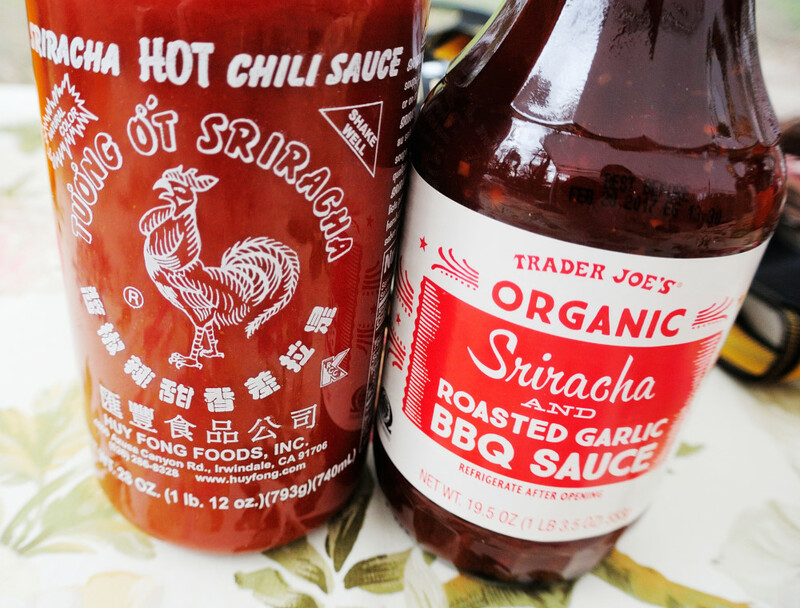 Pictured is the sauce with its friend, the Huy Fong California USA made Sriracha sauce we all know and love. The ingredients in the Trader Joe’s sauce seems pretty complicated. I once attempted to make a poor man’s version by mixing sriracha and McDonald’s BBQ sauce. It was not the same.